Oil Marketing Companies (OMCs) hiked the prices of petrol and diesel on Saturday across four metros of the country for second straight day. 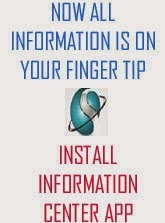 According to the rate chart of IOC (Indian Oil Corporation), petrol is being sold today at Rs. 77.23 per litre in Delhi and Rs. 84.67 per litre in Mumbai. Petrol prices in Kolkata and Chennai are at Rs. 80.18 per litre and Rs. 80.23 per litre respectively. Diesel can be purchased today at Rs. 68.71 per litre in Delhi. Diesel prices stand at Rs. 72.94 per litre in Mumbai, Rs. 71.55 per litre in Kolkata and Rs. 72.57 per litre in Chennai, as stated by IOC, the nation's largest fuel retailer. 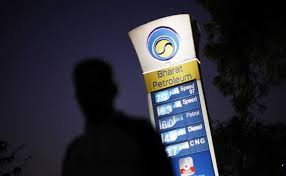 State-run oil marketing companies Indian Oil, Bharat Petroleum and Hindustan Petroleum revise fuel prices with effect from 6 am on a daily basis. The above listed fuel rates are applicable from 6 am on August 11, 2018. Petrol prices in Delhi are the lowest among all metro cities due to lower sales tax or VAT (Value Added-Tax). Petrol price had touched an all-time high of Rs. 78.43 a litre on May 29 and had since receded. On that day, the diesel price had touched an all-time high of Rs. 69.30. According to a Press Trust of India (PTI) report, state-owned oil firms had in mid-June last year dumped 15-year practice of revising rates on 1st and 16th of every month in favour of daily price revisions. High prices have off-and-on triggered demands for a reduction in excise duty but the government had ruled out any immediate cut. The Centre currently levies a total of Rs. 19.48 per litre of excise duty on petrol and Rs. 15.33 per litre on diesel. Globally, crude oil prices rose more than 1 per cent on Friday as US sanctions against Iran looked set to tighten supply, but futures contracts posted a weekly decline as investors worried that global trade disputes could slow economic growth and hurt demand for energy. Prices are expected to remain under pressure as US gasoline demand slows going into the autumn and refiners shut for maintenance, pushing more crude into storage, said Tariq Zahir, managing member at Tyche Capital in New York, reported news agency Reuters.